Well, hi! This is my first review here and before I start my “wise words” an apology for the nub feel you may get while reading. So this is the second book by Chetan Bhagat I read and a certain amount of hype surrounded this book- and it did not disappoint. To begin with the plot is not complex and doesn’t require any high level of thinking or necessity to read pages again. Its about a couple who meet in IIM-A and wish to get married. Well simple enough if their parents were not conservative members of two very distinct castes- a tambrahm from Mylapore, Chennai and a hard’kaur’ Punjabi. Hence begins the 260-page-long narrative of them trying to woo their future in-laws. Sounds like one of those thousand odd bollywood plots right? I began with a similar mindset and a loop of Amitabh Bachhan running in slo-mo trying to dive into the train where a southern lass sat in anxiety. Pleasantly enough I was wrong and though the drama content did remain high it was frequently dotted with clean sarcasm and takes on Punjabis and Tamilians alike. 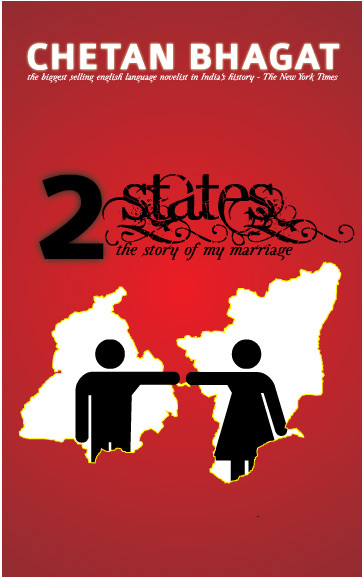 Being a tambrahm by birth and having stayed in Haryana(okay, take a map, its NOT that off from Punjab- culturally and geographically) I could ravish the insane familiarity of one and the stark reality of the other and left me in peals of laughter especially in the scenes involving the communities respective marriage ways. While the content remained relatively fresh and captivating, the language and the dialogues were a bit of a dampener. This clearly wasn’t a work of a native English speaker much less that of an Oxford scholar. The dialogues were highly colloquial and none were articulate enough to be quotable or powerful enough to stay in our heads in the exact way as some books (read: Harry Potter) did. Another point worthy unworthy of mention is the frequent usage of the word ‘OK’. The rather bugging capitals mar a smooth read and substituting with ‘okay’ ain’t that hard is it? Besides this, the imagery is also rather flat and I couldn’t create a single strong image of any of the leading characters as their descriptions ranged from negligible to non-existent. Perhaps this can be accounted due to the author’s inexperience. Enough with the bashing as the book proved to be entertaining read and carried a definitive message. Priced at Rs.95 one can’t really complain. “From all over Europe, even from behind the Iron Curtain, gypsies make an annual pilgrimage to the holy shrine of their patron saint in Provence. But something is different about this year's gathering; this year people are dying. 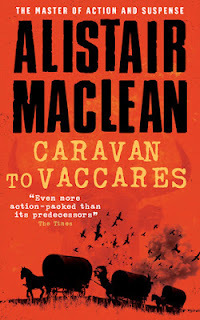 Unlike most Alistair MacLean novels, Caravan to Vaccares is not a novel based on the World War II. The book first came to print in 1970 and presumably, this story is also set around that time, during the Cold War era. The story is set at the south eastern province of Provence, in France. It begins with the murder of a gypsy and it was committed by his fellow gypsies. Why? Nobody knows, but it was clear that the gypsies had something to secret which they didn't want to be divulged and presumably, the deceased has come close to the secret. Cecile Dubois and Neil Bowman, British citizens, are also in Provence. Then there is also the Le Grand Duc, at Provence, who supposedly is a gypsy folklorist. Bowman gets curious about what these gypsies are trying to hide. He starts following the gypsy caravans, but little does he realise that he is inviting trouble for himself by doing so and that too, not only for himself, but also for Cecile. 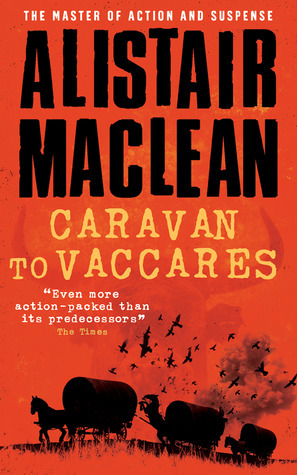 Alistair MacLean hardly reveals the identity of his characters and Caravan to Vaccares is no exception to that. Nobody has any idea on who Le Grand Duc or what he is up to and the case is no different when it comes to Bowman. He describes himself as a “professional idler” and some readers might just try to finish reading the book as soon as possible just to know “who” Bowman is. It is not easy to describe any kind of a fight in words and even if one manages to do so, it might not be effective as the reader might find it difficult to imagine the scenes or comprehend what is happening. So, the author has to be appreciated for describing each duel so extensively, and personally, I had no problem in imagining the fight. That is something which I really liked about the book. A reasonable pace was maintained throughout the novel, which is an important feature of a thriller novel, I believe. However, on the flip side, I’d say that the plot was dull, and in many cases, the antagonists were being extremely foolish, which isn’t exactly the sign of an “equal contest” between the protagonist and the antagonist. Besides, in some cases, Bowman’s survival was totally unbelievable, a combination of all sorts of luck and coincidences. Some readers may not accept the way in which the author portrayed the gypsies and their culture. Thrillers are mostly seen as a battle between “goodies and baddies” but considering “goodies”, considering Bowman’s character, he certainly isn’t the first person which would come to one’s mind. I was also not satisfied with the character descriptions as there was a high degree of imbalance. Some, like Le Grand Duc and Cecile Dubois were described so well whereas I felt most of the others were ignored, including Bowman. Any kind of digression ruins a thriller novel and the major deviation in this book is the romantic sub-plot featuring Bowman and Cecile. The Times praised Caravan to Vaccares saying “Even more action-packed than its predecessors” but to be honest, it wasn’t all that action packed, in fact, far less action-packed than one of its predecessors which I’ve read, South by Java Head, that is. The plot was average and there was nothing great about it. In most cases, the protagonist either gets extremely lucky or the antagonists were being very stupid. It did maintain a reasonable level of pace though, which made it readable. There wasn’t anything special about the language used by the author but the fights were described well and dialogues were well constructed. I wouldn’t exactly say that it is a good read and I shall recommend it only to MacLean fans or those who are willing to read any kind of thrillers.